Making incense is a very intentional and beautiful form of creative art. It’s super fun to make and such a blessing to use. 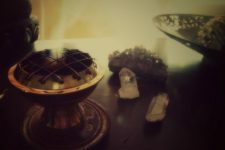 All forms of incense — except that of loose incense — consist of four foundational ingredients: a burnable base, an aromatic substance, a bonding element, and a liquid to bring it all together. The beautiful thing about making incense at home…you set the intention for the incense…you choose the ingredients. 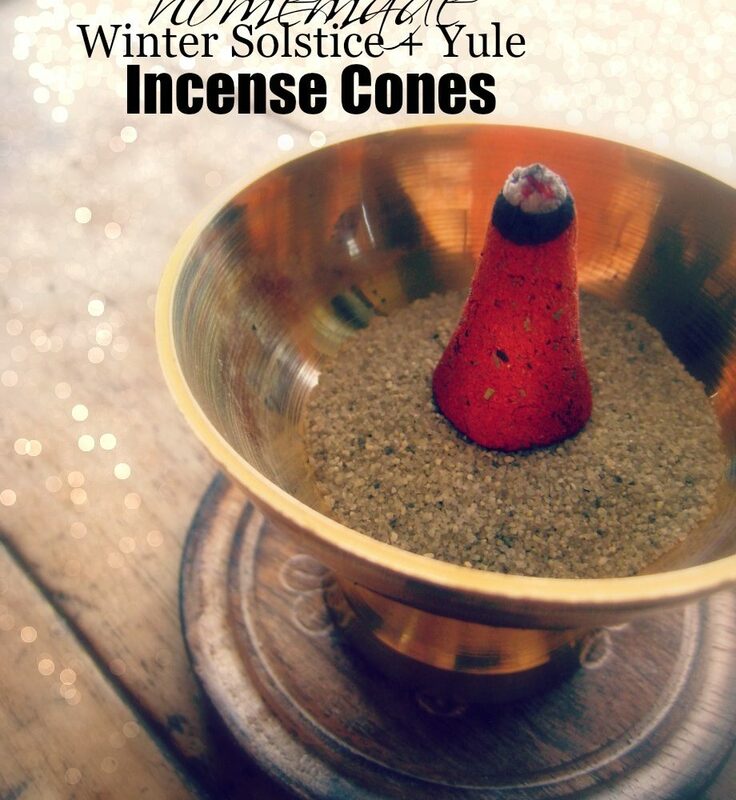 I created this incense to be enjoyed for the next few weeks leading up to the Winter Solstice. 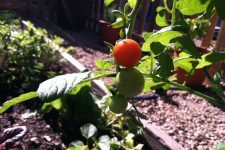 The aromatics used in the recipe I am sharing with you include herbs + oils strongly associated with the season. Basically…it smells like a Christmas tree explosion in my kitchen right now! *The aromatics/herbs used for incense are best gathered from the wild. The next best option, is to purchase wildcrafted or organic herbs. pine needles…these I gathered from a tree near my home. We use pine needles in incense to cleanse a space of negativity, for protection + purification, and to ward off illness. red cedar tips…these I purchase online here. Medicinally, cedar is an herb of protection. We burn cedar to bring peace…to cleanse our home and to protect against unwanted influences. juniper berries…I purchase juniper berries online here or here. Burn juniper berries for the purpose of cleansing and purifying the air indoors. Juniper berries are also used for protection and illness prevention. …and I’ve set a whole bunch to cure/dry. They’ll make very meaningful gifts to give to my friends + family for the holidays. So, are you ready for some fun!?! Measure the herbs (equal parts of pine needles, juniper berries, red cedar tips) into electric grinder or mortar+ pestle. Transfer powdered herbs to a glass bowl — add sandalwood powder, clove powder, and guar gum — use a small wire whisk or wooden stick (a chopstick is perfect) to blend until well combined. Very slowly add the liquid just a little bit at a time. Carefully mix the liquid in. Mix with a wooden stick for several minutes. Please note :: The mixture may look too dry at first, but keep mixing. As you mix, use your fingers to press the mixture together to help completely combine. After several minutes, gather the incense “dough” into your hands and begin to knead. If the incense is too dry and won’t form a dough ball, add a few more drops of water. You want a smooth dough, without any cracks. Add essential oils if using. Knead dough 30 more seconds to combine. Pinch off 1/4 teaspoon of dough. Using your thumb and index fingers on both hands, form a tall, thin cone. Repeat until all dough is used. This recipe should make 6-8 cones. Allow incense to cure/dry on a clean, flat surface for 5-7 days. Be sure to keep incense away from drafts, direct sunlight, and heat. Please note :: A long, slow drying process is what we are after here. Drying incense to quickly will lead to cracks and burning issues. Store incense in a glass container, in a cool, dark place. Place a layer of sand in a heat-proof dish. Note: This is the sand I use, and the brass incense burner I have in my home. 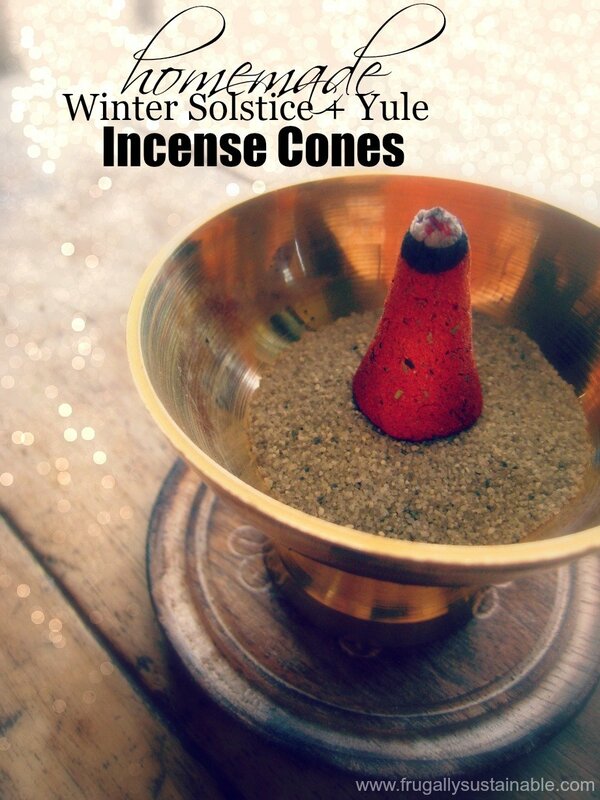 Light the tip of the incense cone and burn as you would commercially prepared incense cones. Enjoy the best smelling house on the block! Read more :: Follow my “Sacramental Smoke” Pinterest Board for continued inspiration along your incense creating journey! What type of incense are you making and enjoying these days? I have never made incense but do lots of other crafts. I don’t do candles because they smell fake, Does this smell natural? Do the pine needles need to be dried before using? I’d like to try it but don’t want to have to buy a pound of stuff each. I live in the northeast and am surrounded by pines. What else can you suggest or where can I buy smaller amts of these things? Joann’s or Hobby Lobby? We have both of those here and an AC Moore half an hour away. TIA and blessings. Hi Linda! 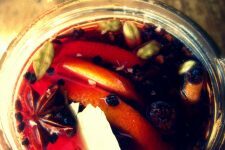 This recipe is 100% natural and smells it:) If you click the links I placed in the post…you’ll find that most of the ingredients have the option to purchase in a smaller 4 ounce quantity rather than the pound. I’ve not found a source for pine needles, and like you, I have plenty of pine readily available. It’s actually preferable to use all wildcrafted herbs if possible (unfortunately, it’s just not for me). I hope you enjoy making this incense!!! Oh my – this is so cool! 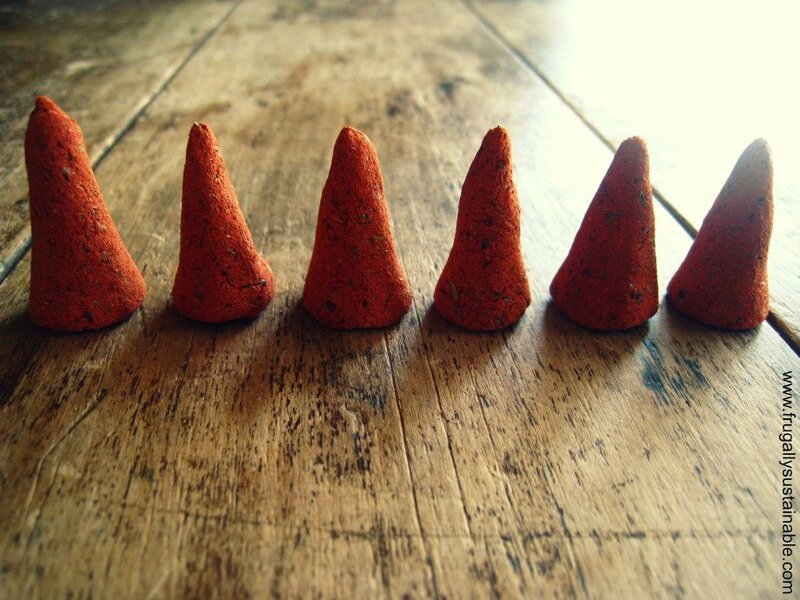 I didn’t know it was that easy to make incense cones! I love the smell of cedar and pine and sandalwood, so this aroma would blend right into my house. 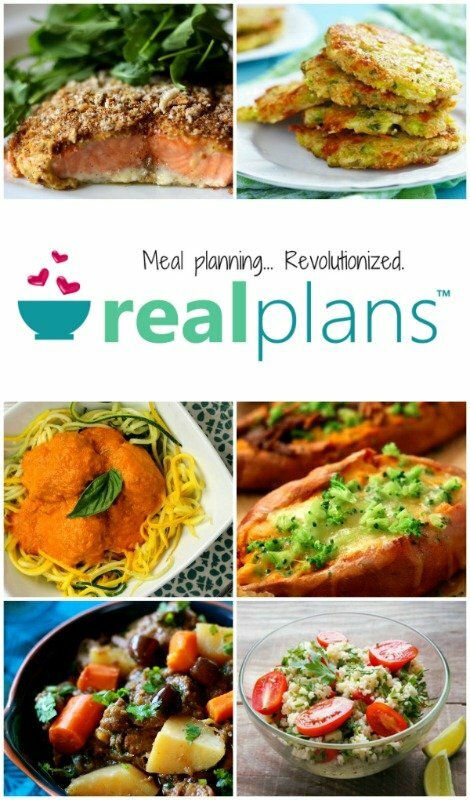 Thank you so much for the recipe and the inspiration! Have a wonderful week, Andrea! RIGHT!!! They are so easy and super fun to make! Let me tell you…the aroma — both when you’re making them and especially when they burn — is intoxicating! What does Sandalwood smell like? I’m not familiar with that. I’d love to give this a try, I have lots of foraged pine and juniper berries! What hydrosols have you used, that smell nice with this combination? Morning Linda , Have you every tried soy candles….I didn’t like the smell of regular candles either started making and burning soy candles. Now I make my own. Good morning Deb:) I hope you give it a try! I made simple beeswax candles that the children shaped in moist sand. This sounds like it smells really good. Like someone else asked, did you dry the pine needles or can you use them fresh? Dried will yield the best results when burning. One question~ How long does the incense need to dry before it can be burned? I have gum arabic can it be used for cones? Thanks for posting this. My cones have been drying for a week and I am unable to get them to burn. Any tips for diagnosing and/or fixing the problem?